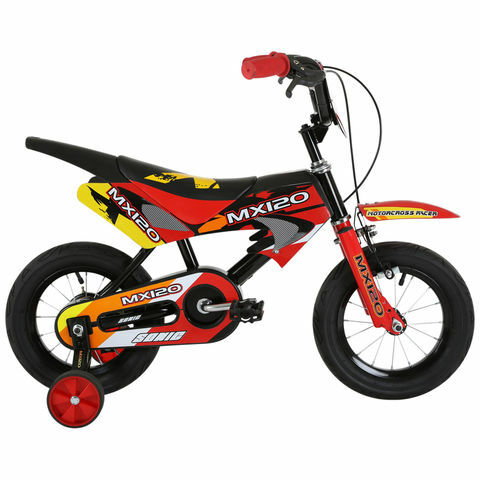 Sonic sonic moto x 120 12" wheel childrens bike is in our childrens bikes category. Deal price correct as of saturday 28th of july. Details: Sonic moto x 120 12" wheel super stylish kids bike packed with all the looks of a motor bike on a robust frame, 12" wheels, padded saddle, enclosed chain guard and removable training wheels this bike provides excellent value for money.